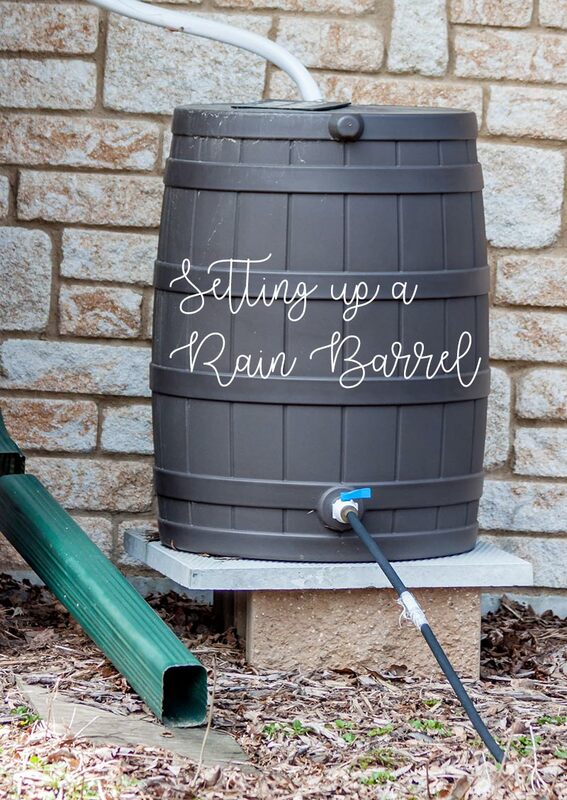 Decide where to put the rain barrel. Preferably, place it by the eaves trough downspout that is closest to the part of the garden that needs more frequent watering, such as a garden bed. If you have a shed or other outdoor building that is nearer to your plants, consider installing some guttering and a rain barrel there instead or in addition to your house. Prepare the area by making it flat and level so the rain barrel is steady. Patio stones can be useful or any large flat stone. Channel a downspout from your roof into the barrel. Cover the hole at the top with a metal or plastic screen to prevent debris from getting inside, mosquitoes from breeding and small animals from getting in and drowning. You may be able to get a screen when you buy your rain barrel. Check your spout. 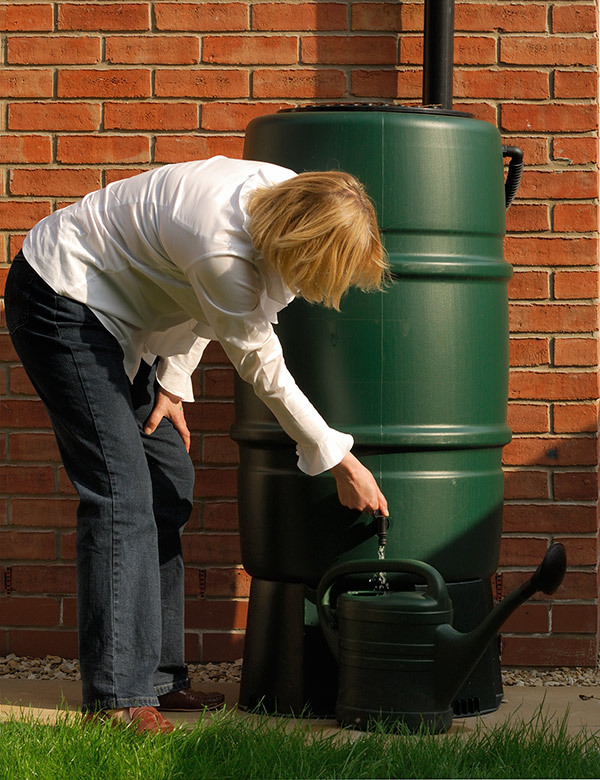 Most rain barrels either come with a spout at the bottom for easier access or instructions for adding one. They are helpful for making it easier to fill a watering can or attaching a hose. If you use this feature, remember to raise the rain barrel to increase water pressure and make it physically easier to get the watering can under the spout. In this case, use something flat and stable such as a concrete block to place on top of the patio stone. Check your rain barrel periodically to ensure that it is working properly. Use mainly for non-edible plant beds, trees and shrubs to ensure no toxins from the roof shingles get into the water. This is especially true if you have had a hot dry spell followed by rain. In this case you may even see the rainbow coloured oily film on the water surface as one does on driveways when oil has leaked from a car. If you have a regular flow of water, however, and you use the water regularly, this will be minimal although still a consideration for the type of plants you water. Learn more gardening tips in our Gardening for Wildlife section! Already gardening for wildlife? Apply to certify your garden as wildlife-friendly.